Дешевый Style!! 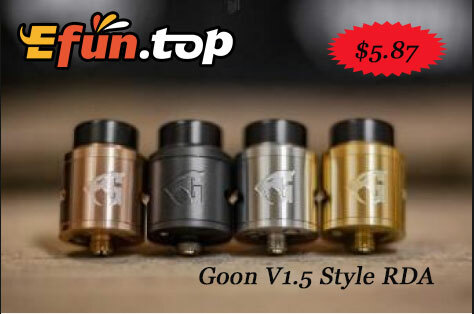 !Goon V1.5 Style RDA всего лишь $5.87!!! Goon V1.5 Style is a 24mm re-buildable dripping atomizer which are available in the finish of black, gold and SS currently. We can say it is a re-styled product rather than a whole new RDA product.